The Merten Law Office, P.A. 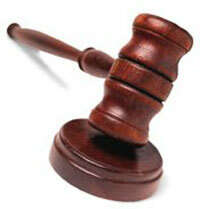 - What does it mean to be aBoard CertifiedCriminal Trial Lawyer ? Maybe you have never needed the services of an attorney before; but now you do. Obviously, you want an attorney who can handle your particular legal situation, and who has experience and expertise in the area of law relating to your legal needs. A lawyer who is a member in good standing of The Florida Bar and who meets the standards prescribed by the state's Supreme Court, may become a "Board Certified Criminal Trial Lawyer" or "Board Certified Criminal Appellate Lawyer." Certified lawyers in criminal trial law are involved in investigation, evaluation, pleading, discovery, taking of testimony, presentation of evidence, and argument of jury and nonjury cases. Every lawyer certified in criminal appellate has practiced law on a full-time basis for at least five years. To become certified the lawyer must have handled 25 criminal appeals. Each criminal appellate certified lawyer has had substantial involvement -- 30 percent or more -- in the practice of criminal appellate law during the three years immediately preceding application. Criminal Law (Trial and Appellate) Certification was approved by the Supreme Court of Florida in 1987. Copyright 2009 The Merten Law Office, P.A.. All rights reserved.